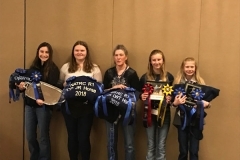 Local riders and their horses were honored with national awards at the recent North American Trail Ride Conference convention which was held March 8 and 9 in Reno, Nevada. 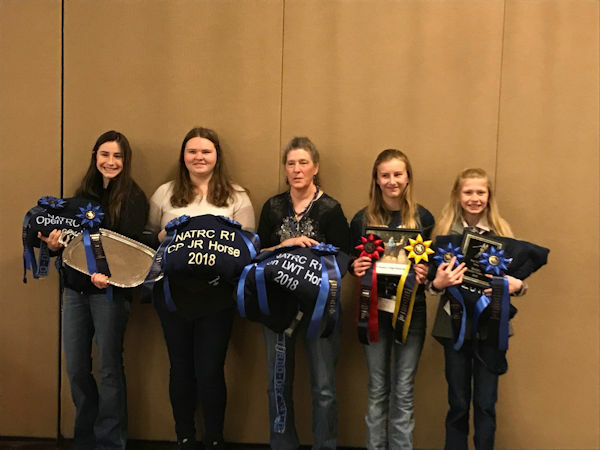 Based out of White Dog Ranch, in Potter Valley, CA, the riders include Junior competitors Aubrey Fansler, Natalie Niederost, Claire Cichocki, Chesney Kelly and Anais Monlu. Open Division Championships went to trainer Angie Meroshnekoff and her horse Desert Reinbeau, who earned their 7th National Championship. 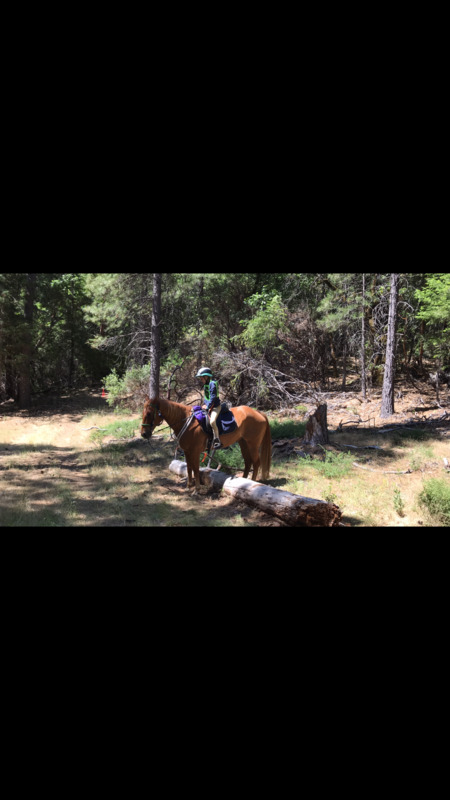 A competitive trail ride (CTR) is a competitive distance event over a measured distance and completed within a window of time. In NATRC competitions, the horses are evaluated by an approved veterinary judge, and riders are evaluated by an approved horsemanship judge. The judging begins at the preliminary examination, usually the day before the ride, continues during the ride, and concludes at the final examination one or two days later. The equines (horses, ponies, and mules) are evaluated on condition, soundness, their trail manners, and way of going. 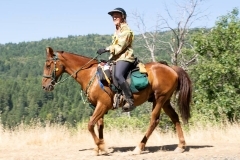 Riders are judged on horsemanship as it applies to competitive trail riding. Trail safety and courtesy are key elements as is the ability to care for a horse during and after a long day in the back country. NATRC rides are NOT races. The rides emphasize the skill of pacing your horse to maximize his longevity as a distance horse. 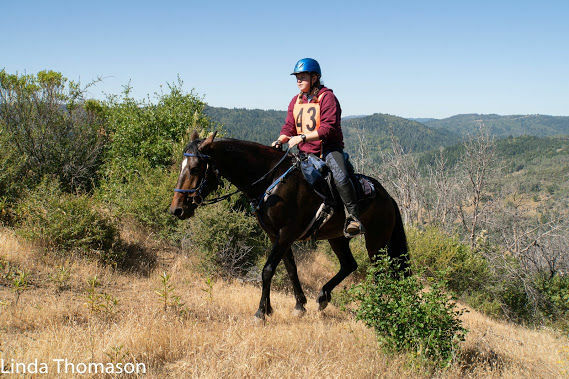 The North American Trail Ride Conference (NATRC) provides long distance competitive trail rides for riders of all equine breeds and from all disciplines. 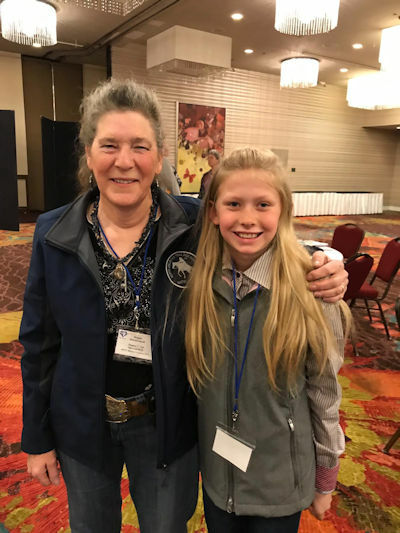 They promote safety, sportsmanship, education and trail horse advocacy through qualified evaluation of horse and rider by veterinary and horsemanship judges, in a fun, responsible environment for the whole family. 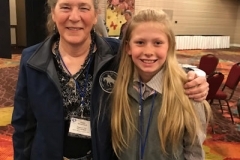 Junior rider Aubrey Fansler, age 11 and one of Angie Meroshnekoff’s students, started riding her horse Rocket 2 years ago. Rocket hadn’t been ridden in some time, and had some bad habits. Aubrey retrained him and fell in love, buying him with her own money last summer. 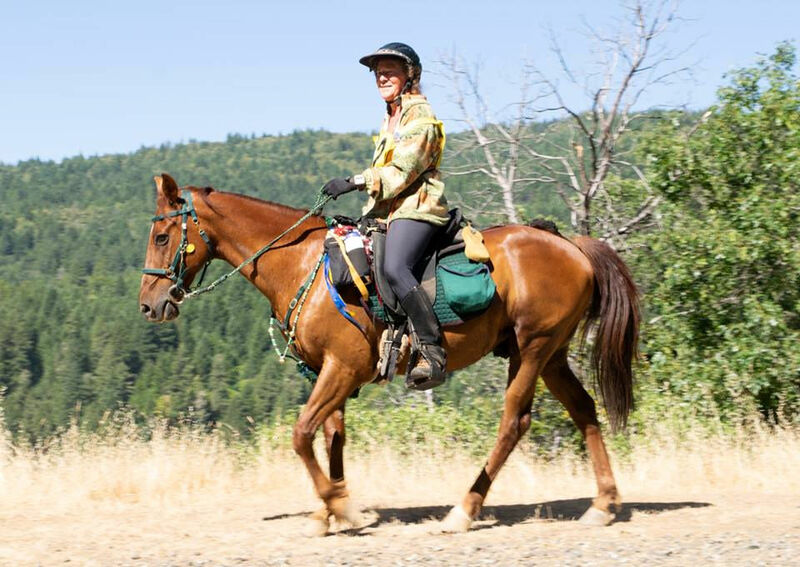 Under Angie’s guidance, the pair began competing in NATRC events, and found Competitive Trail Riding to be a fun equestrian activity to do with friends. 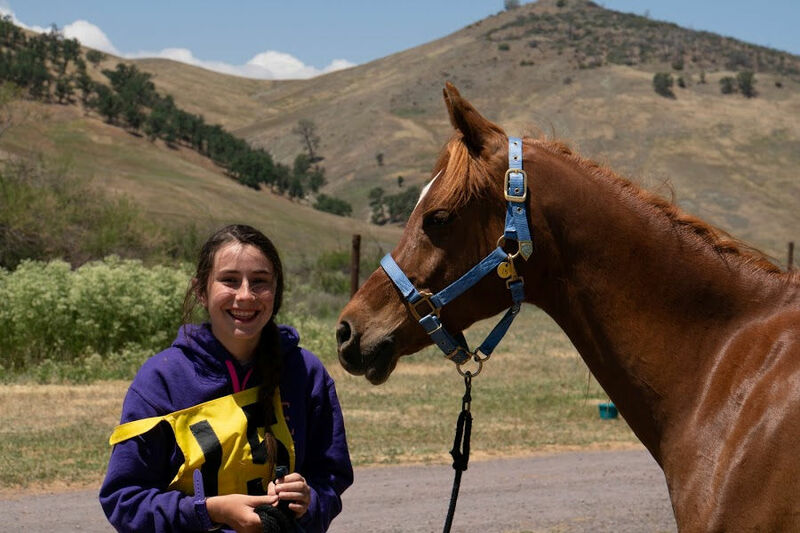 Aubrey and Rocket were excited to learn that their fun hobby had earned them national placings! Angie Meroshnekoff’s Mustang, Desert Reinbeau, was officially retired after the 2018 season. “Beau” and Angie have competed as a team for 18 years, and have logged more than 7500 competitive miles together, earning 7 National Championships along with other prestigious awards. 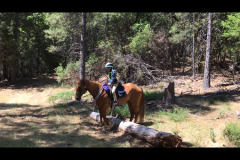 Along with starting a new horse for competition, Angie enjoys sharing her love of trail riding with her students. “The kids worked darn hard for all of their awards,” she said. 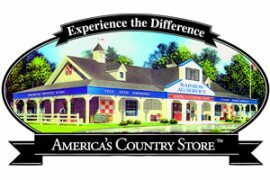 This entry was posted on Sunday, March 31st, 2019 at 3:00 pm	and is filed under articles, On The Right Lead Newsletter. You can follow any responses to this entry through the RSS 2.0 feed. Both comments and pings are currently closed.